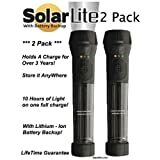 Hybrid Solar Powered Flashlight! Doesn’t Need To Be Left In The Sun! Once Charged It Can Be Stored Anywhere And Holds A Full Charge For Over 3 Years! The Hybrid Solar Light uses revolutionary technology that generates power from sunlight and stores it. 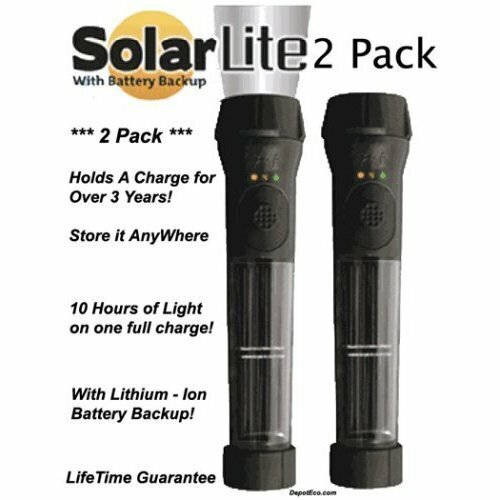 When fully charged the Hybrid Solar Light can hold a charge for years. It is environmentally friendly, durable and guaranteed for life*. Features: Always Ready - Solar Powered. Environmentally Friendly Flashlight. 2X Super Bright 1 Watt LED. Full Charge Provides 16 Hours Of Run Time. Back Up Battery Has A 7 Year Shelf Life. Power Source Indicator Lights. Can Be Charged Over And Over. 100% Waterproof And It Floats. Perfect For Everyday Use. *Guaranteed For Life (By Manufacturer) Just Add Sun!